Amma teaches that the first thing we should do in the morning when we wake up is pranams to Mother Earth. There is an inseparable bond between humans and nature. For us, there cannot be an existence removed from nature. However, because of our thoughtless actions, the equilibrium in nature is getting disturbed, and along with that, human life is becoming erratic, too. 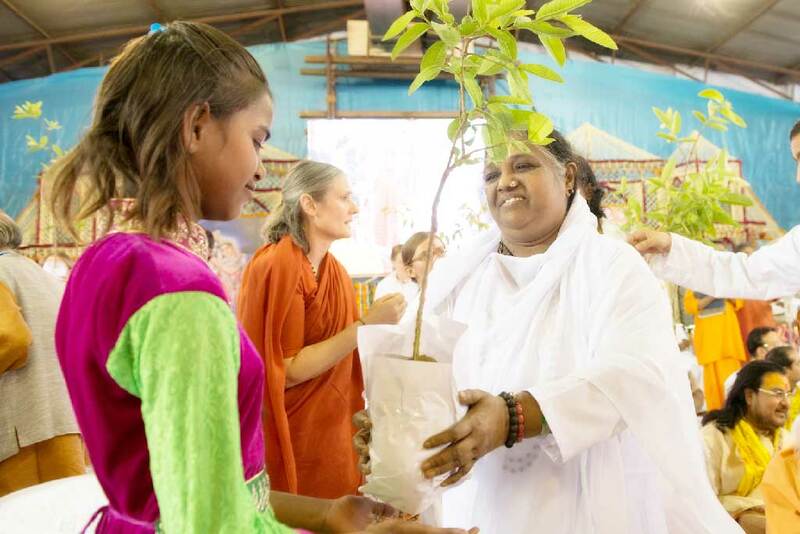 During the 2016 tours across India, Amma gave saplings to villagers to encourage them to start “greening” their dwelling spaces. 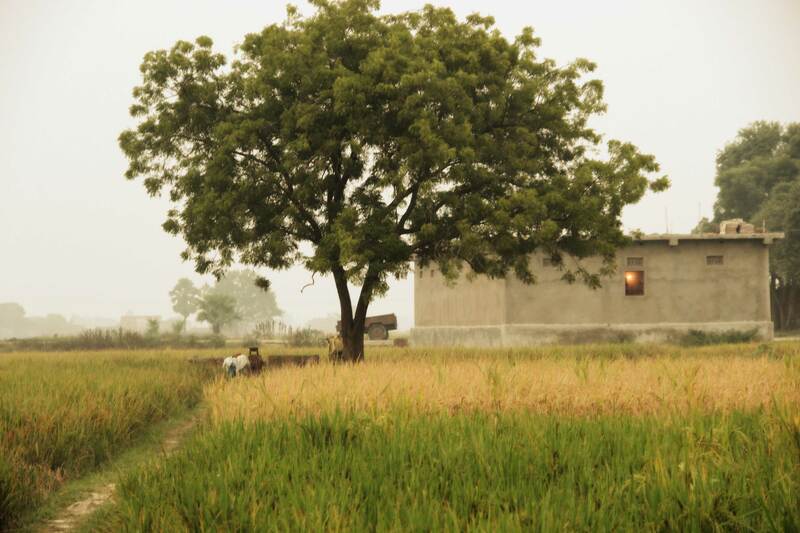 Most villages have open land where planting large numbers of saplings is possible. In order to ensure their survival, Amrita SeRVe is now beginning to also dig trenches and rainwater harvesting pits. 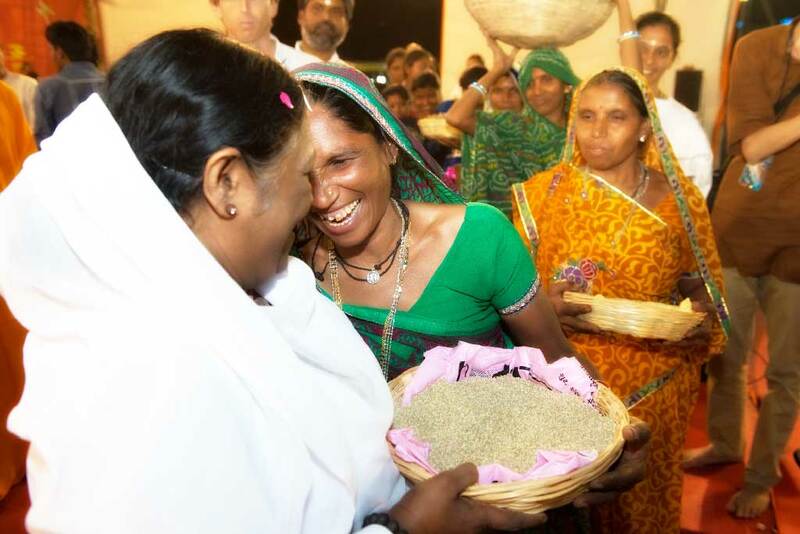 Villagers in turn brought their grains to Amma. It was forbidden to cut a tree unless absolutely necessary. Every forest was supposed to have a guardian deity, called the Van-dev or Van-devi (Van means forest in Hindi). That is why even today in some tribal communities, we find the practice of circumambulating the tree three times and asking for its forgiveness before cutting it. Similarly, all the rivers were considered heavenly goddesses to be worshipped and revered. The sun was considered the source of all energy on Earth, and hence was one of the most important deities. Surya Namaskar, or Sun Salutation arose from this underlying concept of worshipping the life-giving sun early morning. Temples were places where orchards were planted and ponds were dug. They provided shade, fruits, flowers, and water which benefited the entire community. Numerous species of trees and plants were interwoven with religion in order to instil a feeling of reverence and importance for it amongst the masses. Thus, tulasi was considered the abode of Goddess Lakshmi, while ashoka tree was revered as the wish-fulfilling tree. Divine spirits were said to inhabit pipal tree, while leaves of bel were considered to be especially pleasing to Lord Shiva. Women would circumambulate banyan tree to prolong the lives of their husbands. All these above rituals ensured that people not only believed, but also acted in a way that the Earth was their mother. Today however, in the modern education system, this concept is missing. Nature is considered a ‘resource’ to be exploited. As forests have been felled to pay for the growing consumerism of human beings, there has been a tectonic shift in the way people live. Entire communities have been displaced from their natural habitat. Plants have been relegated to small pots on the balcony or in biology books. Touching the earth and lifting a handful of soil is considered to be ‘unhygienic’. Due to lack of trees in our environment, the rituals surrounding them have also gradually faded away. Thus, the previous and the current generations are slowly but surely losing the feeling of reverence for Nature that was omnipresent earlier. And the results are telling now, as we are witnessing the ever-increasing upheaval of nature. Villages, which are generally considered the mine of our traditional knowledge, are faring only marginally better. And that is due to the way things are, not as a conscious choice on the part of the people. Old people tell of a time when trees were aplenty, the seasons were timely, the bounty was plentiful and life was better all around. Today, India’s villages are in a precarious state. For example, each year around 50 trees are cut in Harirampura, our Rajasthan village, to provide a windfall income for people. 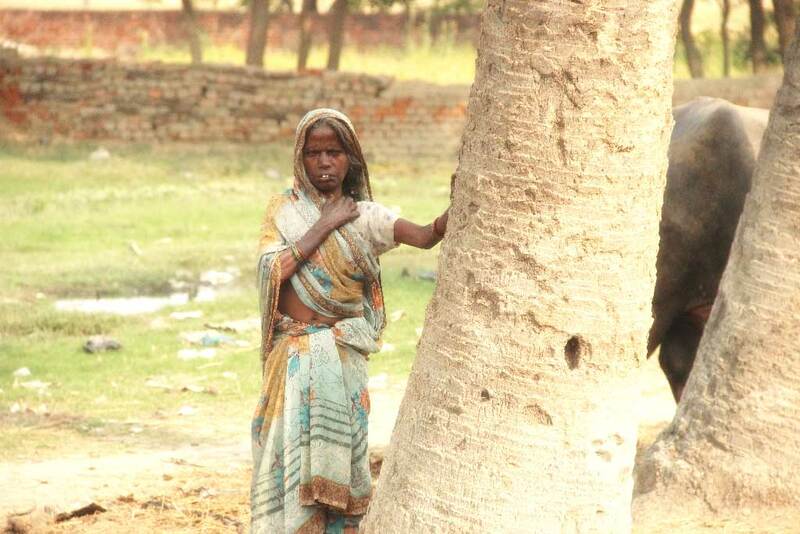 Babul and neem, the most common trees there, are cut, albeit for different purposes. Timber of Babul fetches good money, while neem is seen as a nuisance, especially if it grows near the farm, since its plentiful shade prevents optimum growth of crops. No new trees are planted for the ones cut down. However, neem is a super-medicinal tree, lauded in the age-old Ayurveda system and also by modern medical science. Neem tree is considered as a manifestation of Goddess Durga or Maa Kali. The tree is also referred to as Neemadri Devi. According to another Puranic reference, Lord Indra, the god of the Devas, snatched a pot of nectar from the demons during Samudra Manthana or “The Churning of the Ocean”. He then spilled this on the Neem, which made it a panacea for all ills. 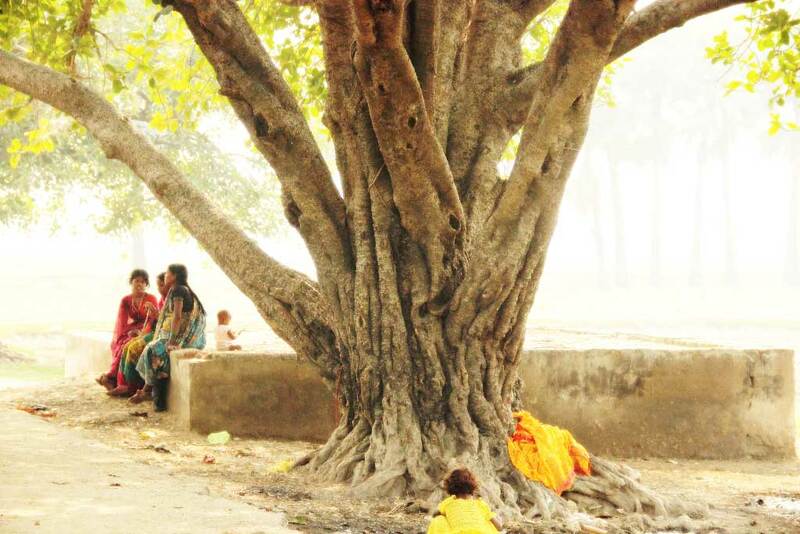 Many village meetings in our Jharkhand village of Devgain happen under a 150-year-old tamarind tree. Similarly, our Chhattisgarh village, Deurbal, is also dotted with many old tamarind trees. But sadly, the number of trees decreases each year, as existing ones are cut down (even illegally) and people are not interested in planting new trees. Today, the need is not to simply plant trees in our villages. The more pressing need is to bring the villagers back to their traditional knowledge systems, where trees were worshipped as bounty-givers and considered an abode of gods. We can try to connect people with the concept of ‘Mother’ Earth and why trees should be planted to take care of our mother. This should be combined with the dissemination of scientific knowledge about the manifold benefits of trees for our environment, including for farming. Nature should again be made an inseparable part of the lives of villagers. Children should be taught to recognise the various trees in their surroundings and their medicinal benefits. Spiritual stories associated with some of the popular trees (neem, banyan, pipal, ashoka, etc.) should be told. Rituals like worshipping trees, circumambulating them, tying religious threads around them, and offering sacred water at their roots, should be brought back. Planting trees and taking care of them, giving them names, and making them a part of our family is something that needs to be done on a massive scale in our villages, and it needs to start urgently. If we observe closely the nature of human beings, we will see that humanity as a whole is generally singularly callous about the future generations. As long as we are getting more and more material comforts to enjoy, we don’t care what happens 10 years down the line, or 20, or 100. It’s difficult to motivate people to act for the good of the future generations. This is as true of cities as it is of villages. However, once we link any activity with religion, it becomes far easier to motivate people to do something. For centuries, we have been using religion for inciting people to do all the wrong things. This is our chance to help right some of the wrongs done in its name. Ultimately, people need to realise that nature is not separate from us. We are in nature, and as such, it becomes our duty to take care of it—like it too nourishes us. In Indian scriptures, there comes the mention of three debts that a human being has to pay during his lifetime in order to live an ideal life. One of those debts is Pitra Rin (debt to ancestors and parents). Since Earth is also our mother, She too has a debt to be paid off by us. And the way we can repay this debt is by planting at least five trees and taking care of them for the next five years. If only everyone in the world would plant five trees tomorrow and take care of them as we take care of our children, within five years the world would have 35 billion new trees.